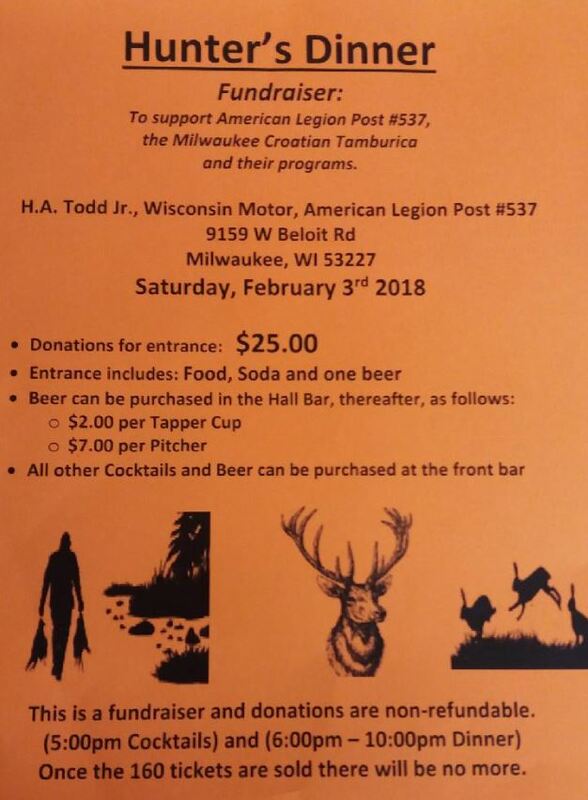 Join us for a unique and popular dinner to support both the American Legion Post #537 and the Milwaukee Croatian Tamburizans. Entrance Donation $25.00 includes unlimited buffet, soda, and a beer. Only 160 tickets will be sold. Once all tickets run out there will be no more. All donations for this fundraiser are non-refundable. Much thanks and appreciation to Domines Deer Processing for sponsoring and donating for this great event!